When one thinks of a “boom” town they typically think of 1850s San Francisco or of the luxurious Dubai skyline but rarely do people think about my hometown Fargo, North Dakota. In a decade that’s seen nationwide economic decline Fargo and North Dakota have been the exception and has become the model of economic prosperity. What has separated Fargo and North Dakota from the rest of the United States, especially with its less than ideal weather and relatively small population? The discovery of the Bakken Shale oil formation in Western North Dakota along with a highly trained work force and low cost of living has made North Dakota attractive to thousands of people in the last decade. Fargo’s economy however, is not reliant on the oil formations in the west but is a central and diversified hub for education, healthcare, agriculture industry, and technology. Fargo is home to Great Plains Software which was bought by Microsoft and employs more than a three thousand people in the Fargo area and plans on expanding that in the future. Also making a home in Fargo is Pedigry Technologies which is an equipment tracking company. Another major employer is Sanford and Essentia Health Systems which have 2 major hospitals in the city and Sanford is currently building a $495 million dollar hospital that will be completed by 2017. The new hospital is projected to spur massive economic impact of roughly $1 billion dollars within five years of its completion. Along with healthcare and technology Fargo is home to construction and mining equipment tycoon Caterpillar Incorporated which is fits perfectly with the city’s arguably most important characteristic- agriculture. Fargo is surrounded by farmlands which are home to one of the largest sugar companies in the nation Crystal Sugar. Crystal Sugar Company also is estimated to make around a $1 billion dollar economic impact per year in the region making it vital the Fargo’s economy. Often forgotten, is that Fargo is home to 30,000 college students from North Dakota State University, Minnesota State University Moorhead, and Concordia college. The college atmosphere is so prevalent that it has attracted the likes of ESPN’s “College Game Day” which is a national college football broadcast show. The city’s new found success has led to a $200 million dollar “Renaissance” of the downtown district which included new affordable housing and a revamp of store fronts and parks. The Renaissance of downtown was essential to bringing a central entertainment district to the heart of the city. The entertainment sector has the reemergence of the historic Fargo Theater which is now routinely filled with many popular music concerts that cater to the college students of the city. Downtown’s increased importance has helped connect the sprawling new developments of houses and malls that now surround Fargo and West Fargo. 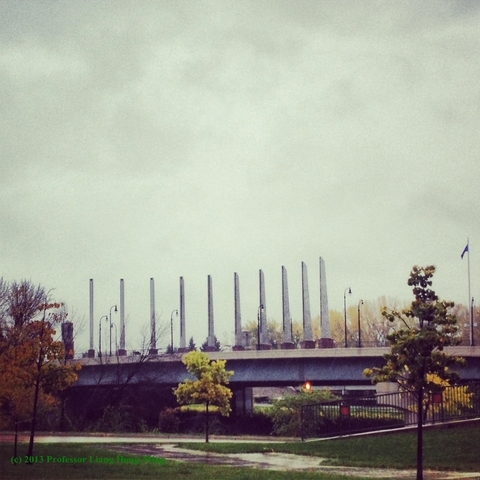 Fargo’s growth seems only to be in the early stages of what could be decades of prosperity. Its low crime rate, low unemployment, and low cost of living makes this the perfect destination for educated hard working individuals. With the city’s population at 105,000 and a metro population nearing 200,000 there is great opportunity and room for growth. America’s newest “boom” town is not a fluke and is not the result of western oil but rather a collection of diverse industries that are run by a well trained and educated workforce. 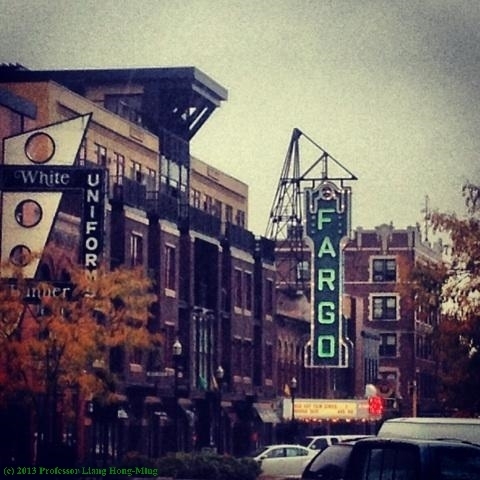 The winters are cold in Fargo, North Dakota but the economic environment is scorching with opportunity and employment. North Dakota is underestimated and often overlooked by many people, I myself used to think of North Dakota as an abandon farmland with no modern technology insight. I was taken aback when visiting Fargo a couple of years ago and found it to be a very modern and growing city. This article explains exactly why this place should not be overlooked. This is very true, and I must admit that when I think of North Dakota, or even Fargo, I just think of it as a boring place. Who goes to North Dakota (although people say that about Minnesota too, and I love it!)? But now I can see how much is really there, and someday maybe the view will change to “Yes, I live there and it’s a great place. You should too!” Or something of that sort! Thank you for your excellent and very well written article on Fargo ND. It is good to hear that the economic boom in North Dakota is not all about the Bakken Oil Fields and that there are opportunities for employment in so many diverse fields. This is good news for young people who want to stay in North Dakota and raise families there. Though, I must admit to feeling a tinge of sadness for what looks like the loss of another American bastion of solitude. I fear that the once sparsely populated prairies of the Northwest will become miles and miles of McDonalds, Walmarts and Starbucks. Where will we go for beans, cornbread and cowboy coffee? I didn’t know much about Fargo until reading this. I never knew it was so populated by college students or that close to Moorehead. 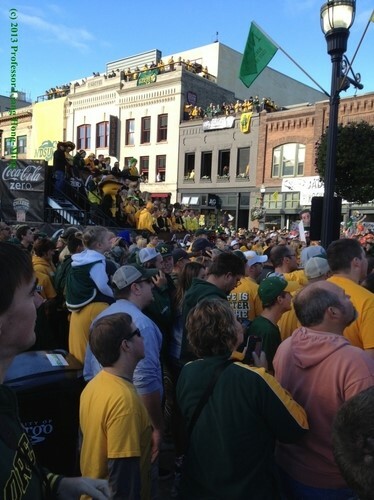 It was interesting to hear that it attracts ESPN with its mass population.